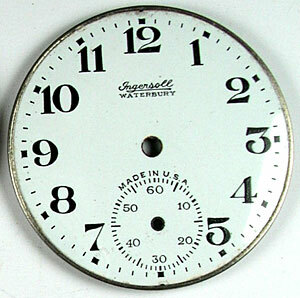 Nice Ingersoll/Waterbury enamel dial. Has a couple of clean, very hard to see hairlines. 39.5mm diameter.